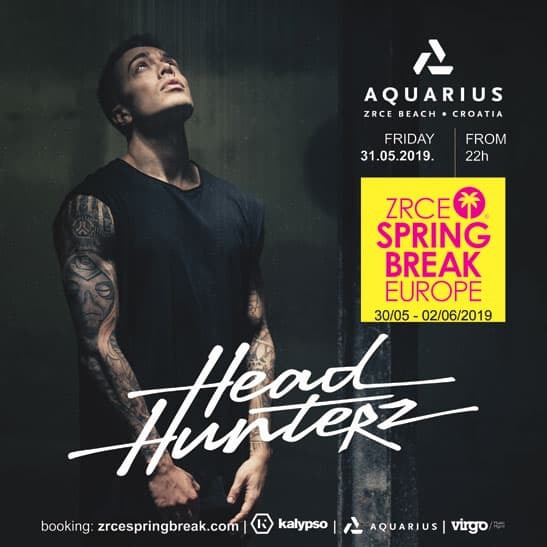 Sandro Bani, after his presence at Zrce Spring Break Europe 2017 and Zrce Spring Break Europe 2018, after he plays his sound in best European Clubs – with ScuolaZoo Viaggi Evento‘s STAFF – like Montecristo and 54 Dreamy in Greece, Top Hill and Maximus in Budva, Papaya, Kalypso, Noa and Aquarius in Pag (Pag 2014, Pag 2015, Pag 2016) and St. Trop, Revolution, Disco Tropics, SanDance and Beach Club in Lloret De Mar, returns in Pag for Zrce Spring Break Europe 2019! The official aftermovie of Zrce Spring Break Europe 2018 is here! Follow the event on Facebook and #staytuned for more news about the best event in Zrce Beach! The Zrce Beach on the croatian Island Pag is one of the best party beaches in the world and the ideal location for people who want to experience not only sun, beach and sea, but also party, stylish clubs and good music during their holidays. In the four open air clubs Papaya, Aquarius, Noa and Kalypso you can celebrate around the clock. Legendary are the After Beach Parties, which take place every day during the summer months.